Several decades ago I decided it would be fun to make Gingerbread Men with my son, Paul, and the little girl I was babysitting, Missy. At the time they were four and nine-years-old, respectively. Everything started out pretty well but it didn’t take long before they started bickering back and forth, “It’s my turn to roll the dough! I want to cut out the cookie first this time!” and on it went. 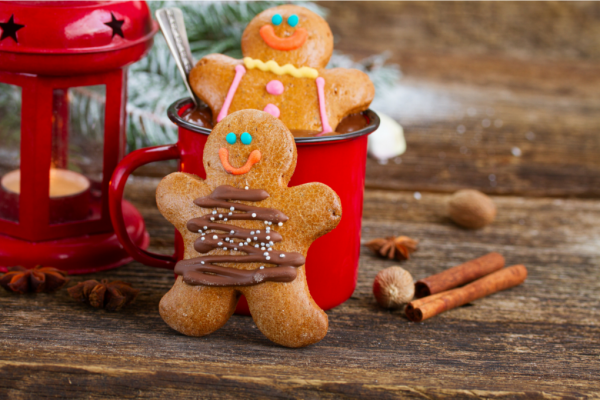 It has taken me over 30 years to venture into another gingerbread men baking adventure – this time with my grandchildren. Fortunately, my expectations were low . . . really low. I’ve decided this is key to baking with kids. Just have fun. If the cookies don’t turn out, who really cares? 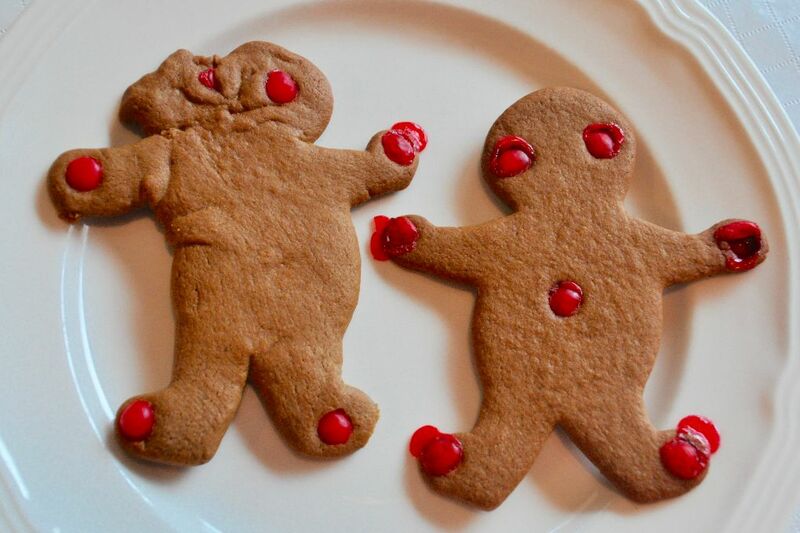 It’s not like we NEED gingerbread men cookies. My plan was to make the dough in the morning, refrigerate it, and do our baking after lunch and rest time. 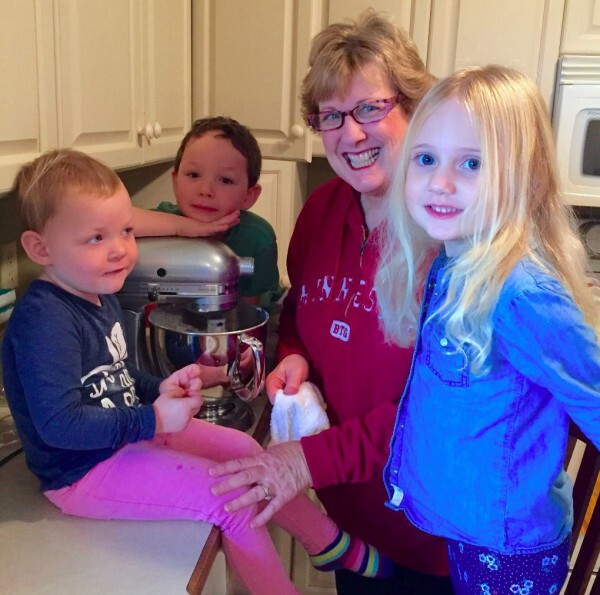 I thought it would be easiest to put Charlie (4) and Jane (2) up on the counter on either side of the mixer. 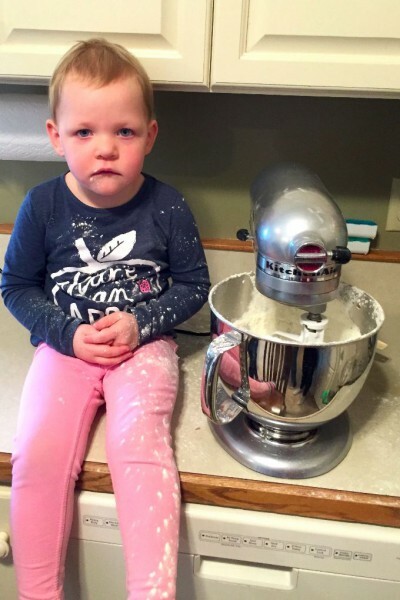 Charlie had determined that he could be the one to pull the mixer head down into the bowl and I came up with the idea of letting Jane turn on the mixer. Obviously, I didn’t think that one all the way through. After adding all of the liquid ingredients Charlie did his job of moving the beater down into the mixing bowl and I told Jane to turn it on. She’s two. Why did I not think to “help” with this? The speed options for a two-year-old are high and off. A little bit of liquid flew out of the bowl but I was able to slow things down quickly enough to deter any real loss of ingredients. It was at this moment that Amelia, her baby brother, and her mom, Erin arrived. Amelia pulled up a chair to stand on and we all worked together to add the flour. We were about to add the rest of the dry ingredients when Jane decided it was a good time to turn the mixer on again – at high speed, of course. Flour went flying everywhere, which sent Erin and me into hysterics. Our laughter only got louder when Charlie said to his sister, “Now look what you’ve done!” Poor Jane, she just didn’t know what to think. She was covered in flour and probably expected to get in trouble but the only one scolding her was her brother. The two adults in the room did not seem to understand the severity of the situation. We quickly wiped up the mess and guesstimated the amount of flour we’d need to add back into the bowl. 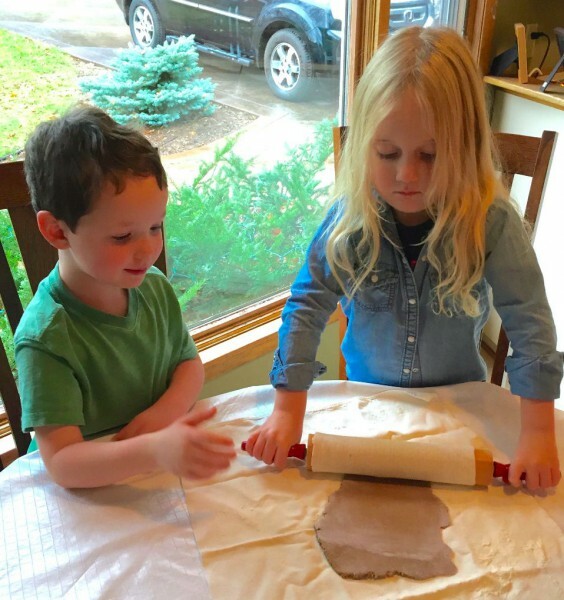 In the afternoon we rolled out the dough. They all took a turn and were amazingly good at it. Knowing that gingerbread men take up a lot of dough real estate, especially when children insist on starting in the middle of the dough, I pulled out a couple of other cookie cutters to use on the smaller pieces so we wouldn’t have to re-roll so often. I thought a star would be very Christmasy and I pulled out the eyeglasses cutter because I’ve never really used it and wanted to see how eyeglass shapes would look as cookies. They were a big hit. 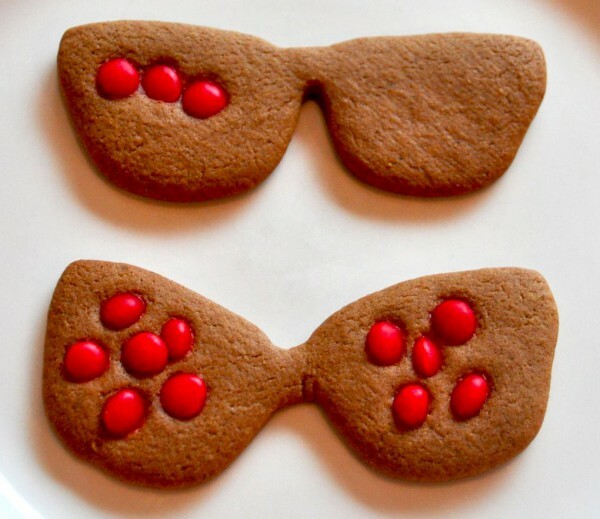 Granted the bottom one looks more like a bow tie than a cookie. As I mentioned earlier, the key to Christmas cookies and kids is not to care how the cookies look when the day is done. 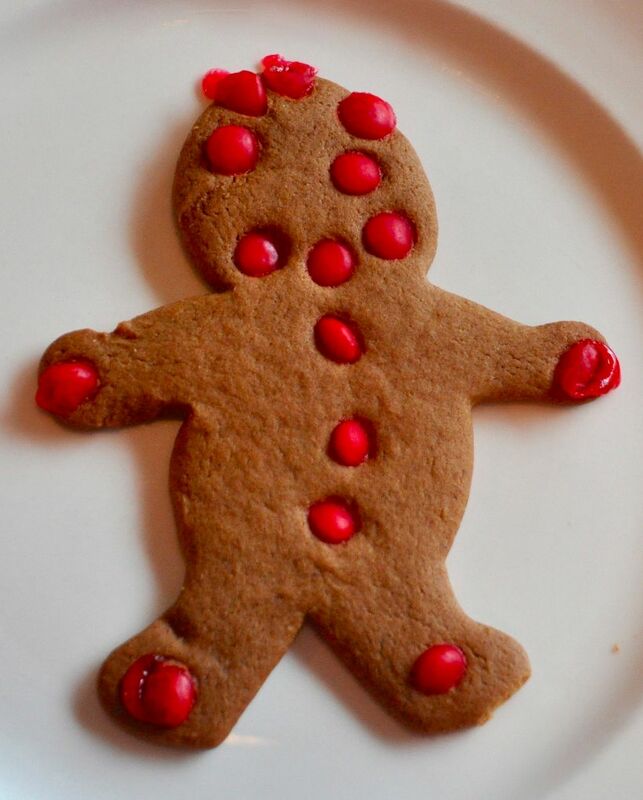 The Gingerbread cookies at the top of this post were made by professionals. Our cookies were FAR from professional but possibly more entertaining. Let’s start with the one with the flowing red hair. As it turned out the cookies with the most red hots tasted the best so the “red hot hair” was a stroke of genius. The one on the left just screams “ET phone home,” doesn’t it? About half of the cookie dough was used up when the kids decided to go play. 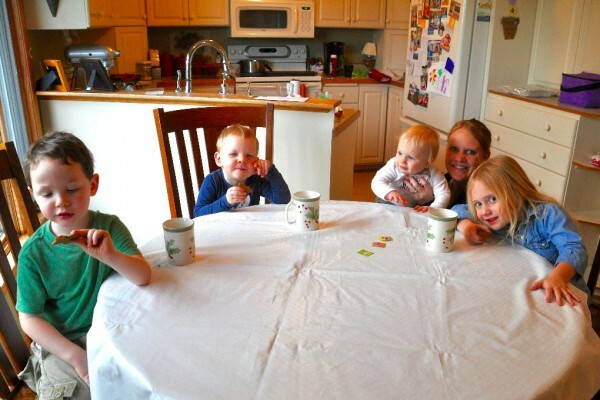 Nobody said, “I’m tired of this,” they just ran, ran as fast as they could away from the table. In the end we had rather a motley crew of Gingerbread cookies but no one seemed to mind eating them. And best of all, I didn’t lose my temper once.